Islamabad, Aug 28 (IANS) Pakistan Prime Minister Shahid Khaqan Abbasi will visit the US in the third week of September, a media report said on Monday. 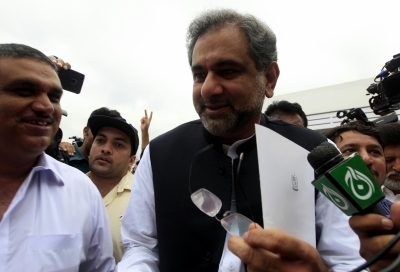 Abbasi, along with Foreign Minister Khawaja Asif, will visit Washington to attend the UN General Assembly session in New York, the News International quoted the government sources as saying. The visit will be Abbasi’s maiden visit to the US as Prime Minister and he is expected to meet US officials on the sidelines of the UNGA session. The news about the visit comes amid tense relations between the two countries following US President Donald Trump’s announcement of his new South Asia policy which was critical of Pakistan. Pakistan on Sunday postponed a visit by a US acting Assistant Secretary of State, officials said, as protests broke out against Trump’s accusations that Islamabad was prolonging the war in Afghanistan, the daily reported. Trump had accused Pakistan of harbouring “agents of chaos” and providing safe havens to militant groups. Pakistani officials responded by saying the US should not “scapegoat” Islamabad and accused the American military of failing to eliminate militant sanctuaries inside Afghanistan. Earlier, Foreign Minister Khawaja Asif had postponed his US visit following the US President’s comments.